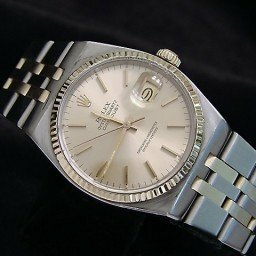 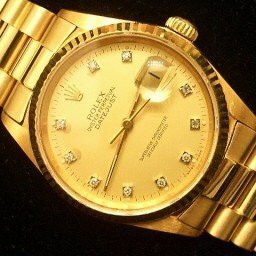 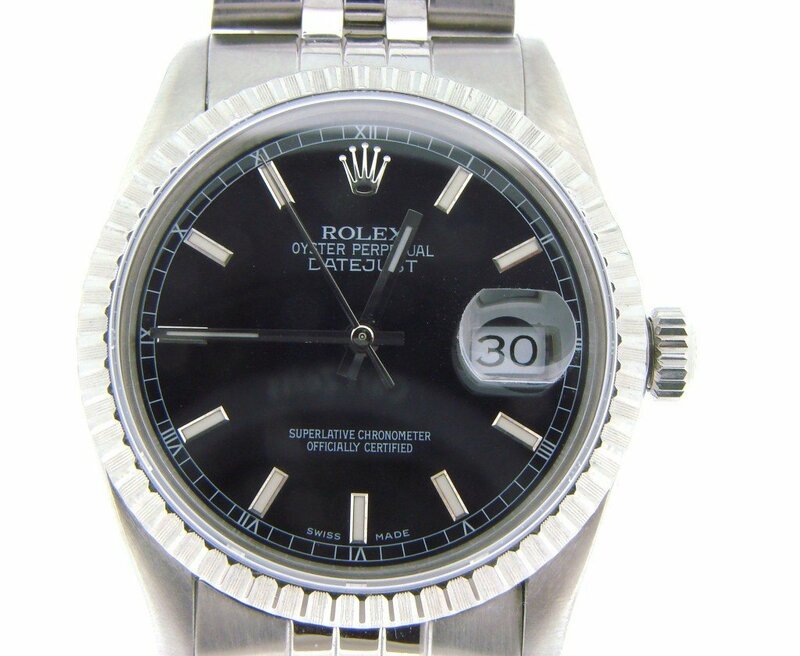 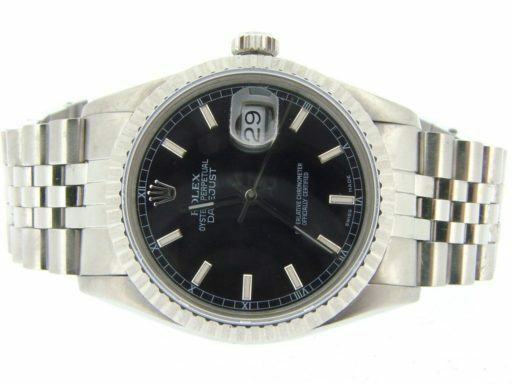 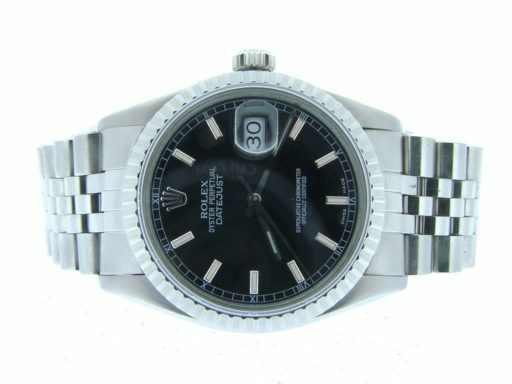 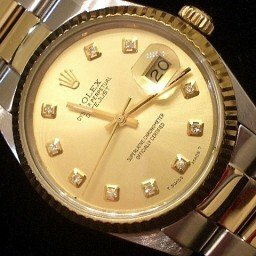 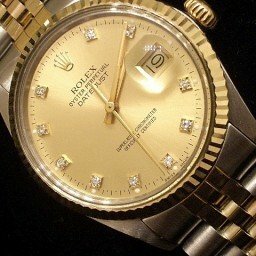 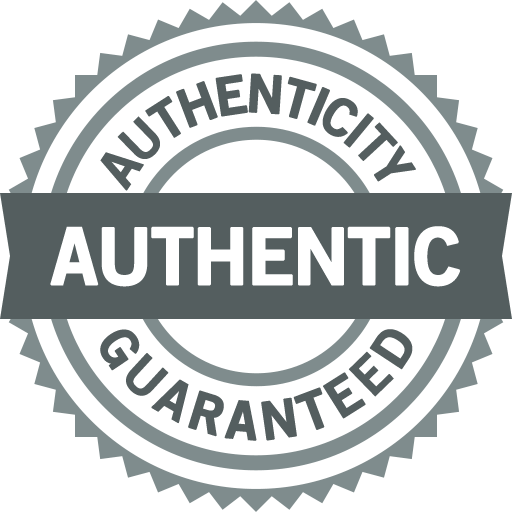 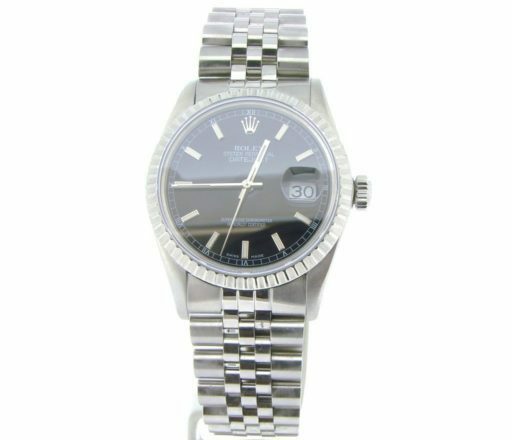 BeckerTime is proud to offer this super handsome Mens 36mm GENUINE ROLEX Stainless Steel DATEJUST Watch w/Black Dial – ref #16030 that has been fitted with a custom aftermarket sapphire crystal! 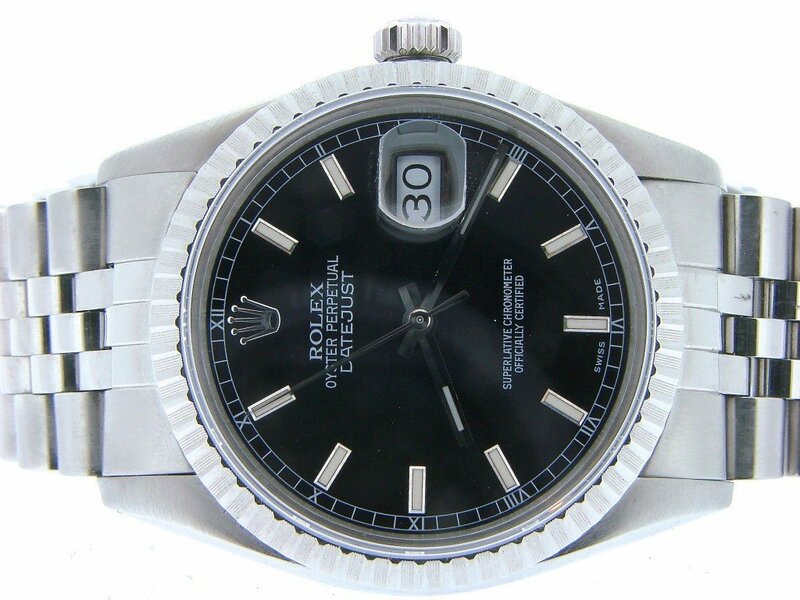 Dial Rolex black dial with raised illuminated markers is in perfect condition.This is a new style factory original Rolex dial. 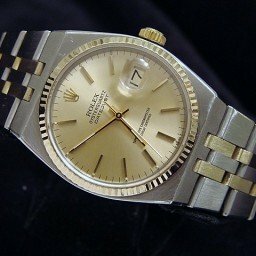 This dial originally came on the ref #116200. 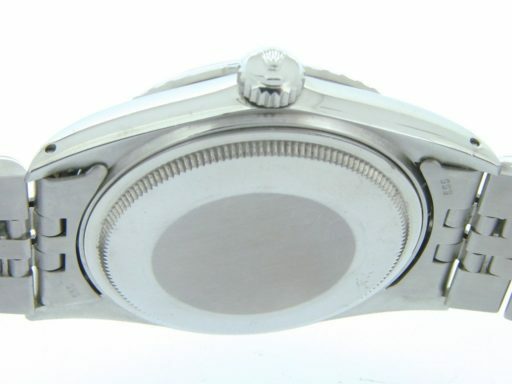 Bezel Rolex stainless steel engine-turned bezel. 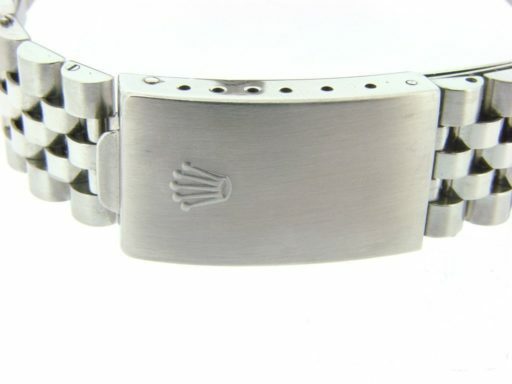 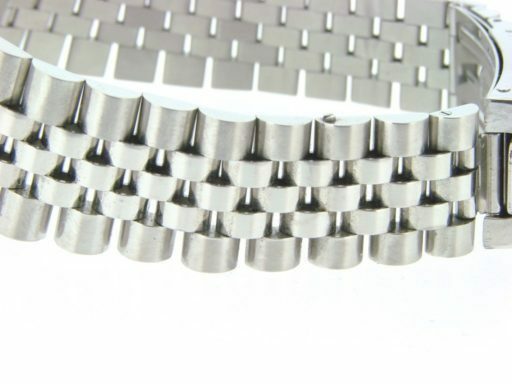 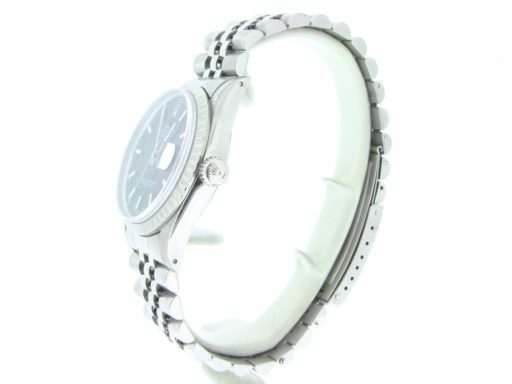 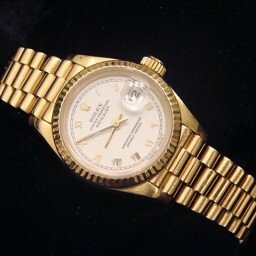 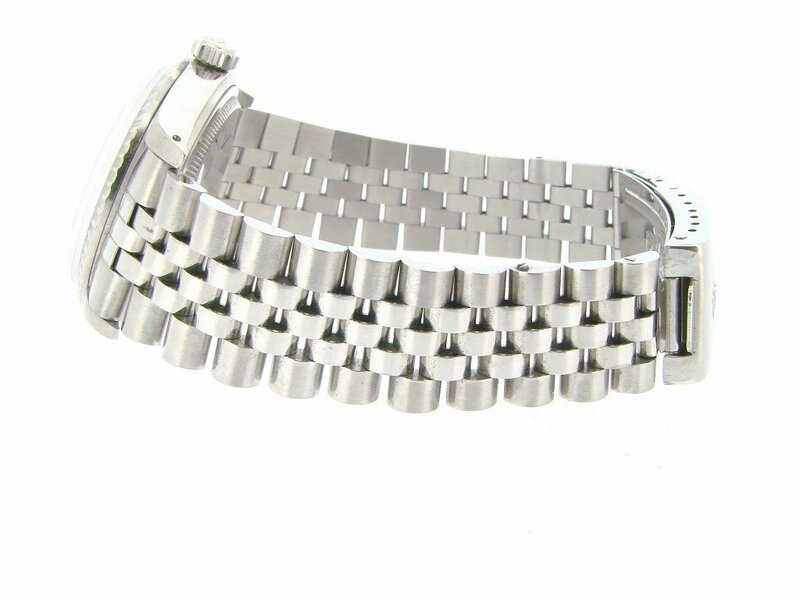 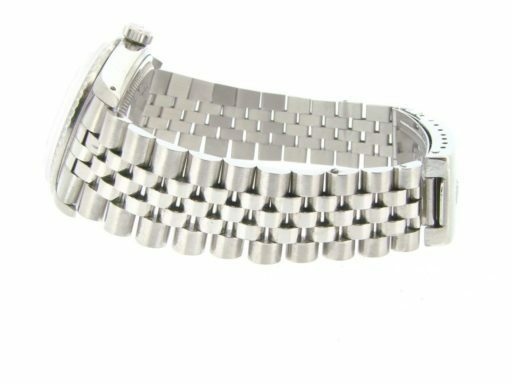 Band Rolex Stainless Steel Jubilee bracelet with is in super excellent condition.